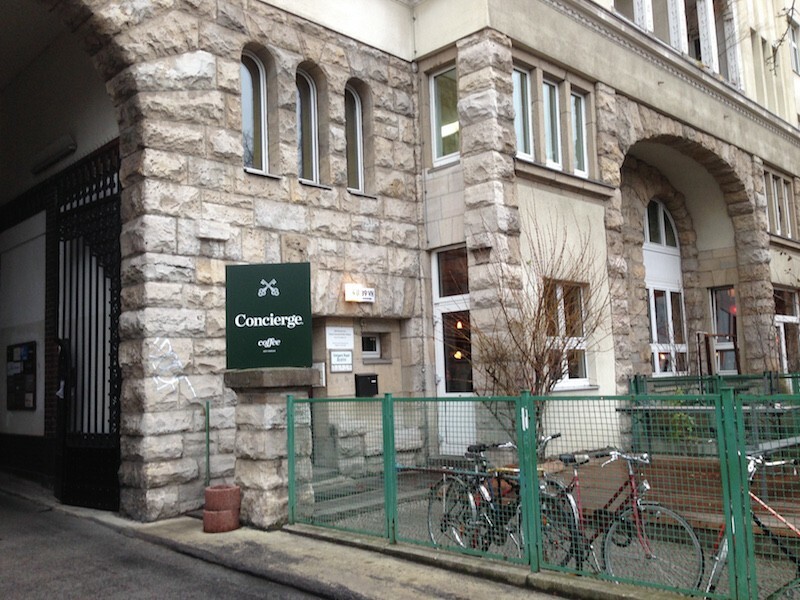 Concierge Coffee is an awesome little coffee bar hidden away in an old gatekeepers room in the arched doorway to a hof. 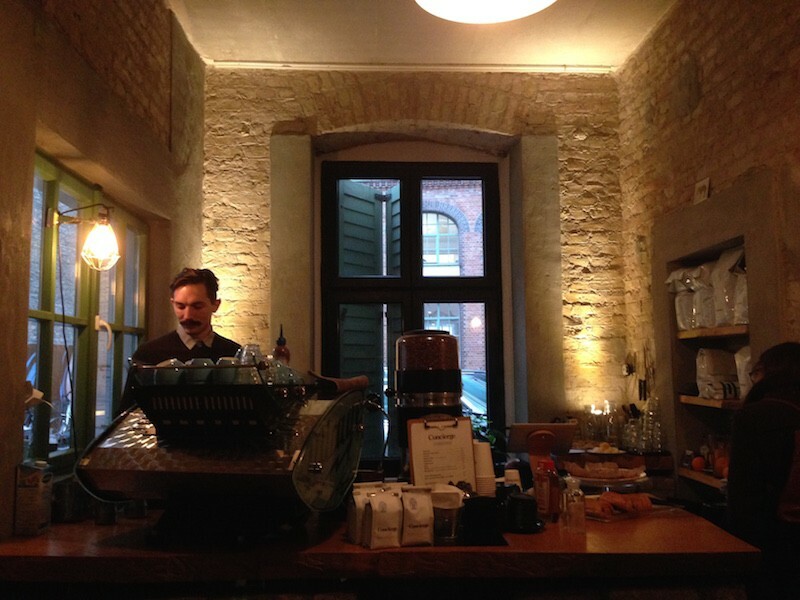 They also have a large sunny terrace in the front where you can sip your coffee and enjoy lovely Kreuzberg. The area along Paul-Lincke Ufer is lovely and full of character. This place could not be more appropriately located. 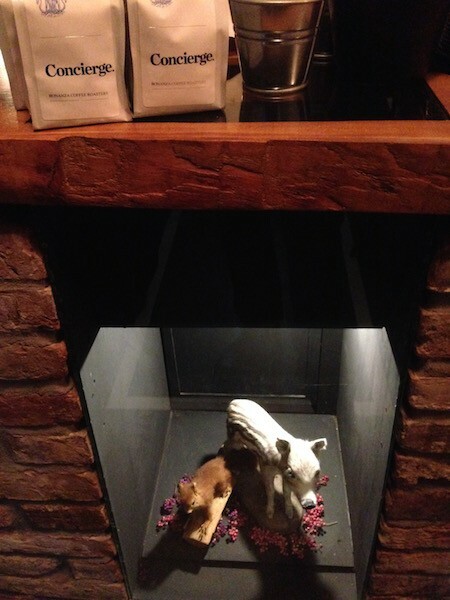 We enjoy walking in and smelling the wonderful roast coffee being brewed. The space inside is tiny and cozy. Sometimes the guys will peel some oranges and leave them out creating a wonderful aroma. We hope you can experience this. Just ask them! Owners Benjamin Pates and Namy Nosratifard know how to serve up a beautiful flat white or luxurious latte. 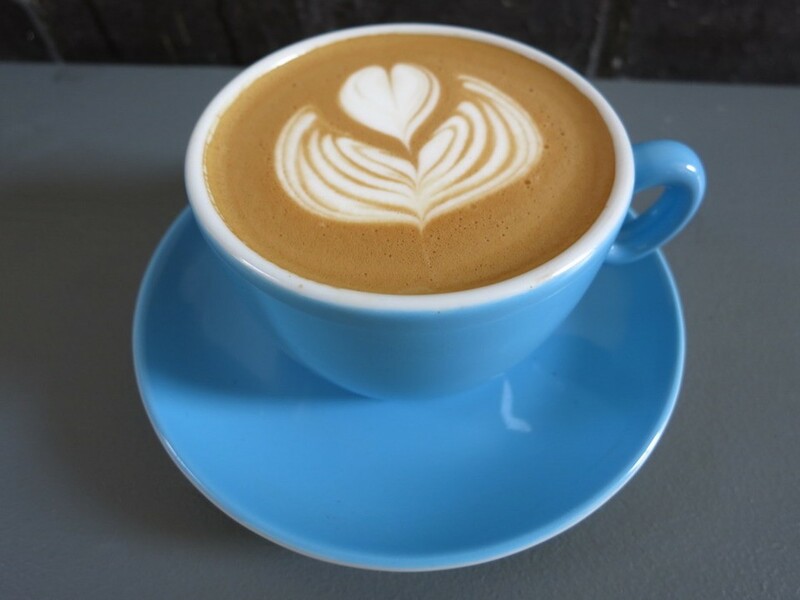 The coffee is fantastic and we love the pretty blue cups. They also have fresh pastries and tasty hot chocolate. The service is super friendly and relaxed. Don’t miss the taxidermy pets in front of the counter. On Tuesdays and Fridays cross the canal and explore the Turkish street market. It is simply an amazing experience. What we like to order at CONCIERGE COFFEE: Flat White.